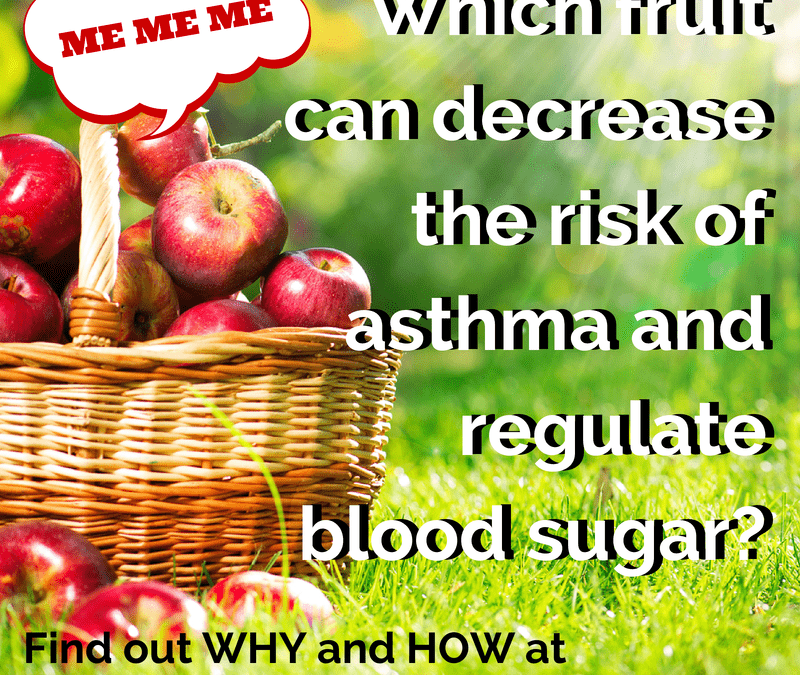 Which fruit can decrease the risk of asthma and regulate blood sugar? It’s apple season once again, so today we’re going to give you a trick, a tip and a great new recipe, all related to this classic fruit bowl staple. These sweet (sometimes tart) fruits make the perfect grab-and-go snack. Apples are delicious, filling and healthy, plus they have a built-in, biodegradable wrapper. Apples are rich in fiber, support good cardiovascular health, reduce blood sugar levels, lessen your risk of developing lung cancer, have been linked to reduced risk of asthma and they’re also full of antioxidants. There are dozens of types of apples, all with different properties. Some are best for baking (Courtland) and some are best for eating (Honeycrisp is my fave! ), but no matter how you slice it, apples are a household staple. Before I give you a trick, a tip and a great new recipe, I’m going to remind you that apples are at the top of The Dirty Dozen list. Apples are heavily sprayed with pesticides, so you should not buy apples unless they’re organic. This is a great time to find an orchard where you can pick your own organic apples and stock up for the winter! To stop apple slices from turning brown in your kids’ lunchbox, try coating the cut flesh with lemon juice! They should stay nice and white that way. Apple slices dipped in almond butter are absolute heaven. Or dice your apples over a crisp green salad. Yum! Oil a large baking dish with coconut oil. To the baking dish, add the chicken. Season the chicken with the next 3 ingredients (ground cumin through garlic). Top the chicken with the chopped onion, apple and place in the oven. Bake for 30 minutes then flip chicken and bake for 30 more minutes, or until the chicken is cooked through. Allow chicken to cool, slice and serve with onion and apple. In August, there are so many types of foods ripening in the fields and on the trees, I am just like a kid in a candy store when I hit up my local Farmers Market. Have you been to the market lately? I truly believe that we need to support our farmers and shopping at your nearest market is the best way to do that. More of the cash goes in your farmer’s pocket, and you get the freshest food available to you, that you can’t or won’t grow yourself. The following is a breakdown of what foods are in season in August in most parts of the United States. Note: This list will vary depending on where you live! What to look for: Choose apricots with rich, orange-colored skin. They should be soft to the touch and smell like apricots. Health benefits: Cancer prevention, antioxidants, fiber, liver health, digestive aid and hangover cure. What to look for: Gently squeeze the ends of the avocado. If you have some give, the fruit is ripe. If it’s very soft, it is probably overripe. If it’s hard, it’s underripe and needs more time on the counter before slicing into it. Also, you can pull off the little stem to check the color—it should be greenish, not brown. Tip: To store your avocado once it has been opened, squeeze fresh lemon juice on the exposed flesh and store it in the fridge, wrapped in plastic wrap. It should be eaten within a day or so. Tip: The green leaves should be separated from the big white stalks as the leaves take very little time to cook and the white takes a little longer, so cook the chopped stalks first, add the leaves at the end of cooking. Health benefits: Fiber, folate, calcium, potassium, phosphorus, manganese, phytochemicals and vitamins A, C, K, B-6, and E.
What to look for: Choose heads with tight green and brightly colored buds. Yellowing is a sign of broccoli past its prime. Stalks should seem young and tender. Look for moisture where the broccoli was cut at the stem. That’s a sign it was just picked. Tip: Enjoy broccoli in stir fries, eaten raw with other veggies or added to soups and salads. Tip: Cut your cabbage in quarters before cutting up to use (unless you’re making cabbage rolls!). Having the cabbage quartered makes it easier to slice. Store by wrapping plastic wrap around the cut pieces. Use up within a few days to prevent too much vitamin C loss. What to look for: To choose a ripe cantaloupe, start by picking cantaloupes that are heavier than they look. When you have a good heavy one for its size, tap it and listen for a deep, dull sound to indicate that it’s ripe. If the sound is hollow and high, it’s probably not quite ready to be eaten yet. When you press the stem end of a ripe cantaloupe with your thumb, it should give away a little bit. If it feels squishy, it’s probably overripe. Smell the bottom end of the cantaloupe, and if it smells like a cantaloupe, it’s probably ripe. If it smells extremely sweet, it’s past its prime. No scent at all? It’s not ready. Tip: Remove the greens when storing carrots. Keep carrots wrapped loosely in plastic in your refrigerator’s crisper drawer. New carrots need only be scrubbed and eaten raw or steamed until tender. Health benefits: Cancer fighting abilities, digestive aid, antioxidants, anti-inflammatory, B vitamins and Vitamin K.
What to look for: Choose fruit with the stem still attached. The stem should be nice and green and not wilted. A fresh looking stem is a sign that the fruit was picked recently. Tip: Cherries bruise easily, and they are very perishable. Cherries will only stay fresh in the fridge for a few days, so eat them shortly after bringing them home. What to look for: Fresh figs are extremely perishable, so buy them the day before you need them. Choose figs that are free of bruises, plump and that smell mildly sweet. When shopping for dried figs, make sure they’re soft and watch out for mold. Tip: Keep ripe figs in the fridge on a paper towel-lined plate. Do not cover them or they will dry out. If you’ve purchased under-ripe figs, store them on a plate at room temperature and don’t set them in direct light. Health benefits: Rich in vitamins, lowers cholesterol, good for heart health, lowers blood pressure, antiviral and antibacterial, prevents cancer, and aids in iron absorption. What to look for: Choose smooth, blemish-free garlic bulbs with no sprouting or signs of decay. Tip: Garlic burns quickly, so when adding minced garlic to your cooking, add it in closer to the end, and never toss right into a hot pan or it will turn bitter. What to look for: When you’re shopping for honeydews they ought to have a smooth, almost velvety surface and feel heavy in weight. And don’t forget the sniff test–a ripe melon will tell you it’s ready to refrigerate by its smell! Tip: Honeydew is a great snack to include in your diet if you’re trying to lose weight. Add a little string cheese and you’ve got salt and sweet together; very complimentary and satisfying. What to look for: Leeks should have nice long white stems. Look for crisp-looking leeks with their stem attached. Tip: For optimal health benefits, let your chopped leeks rest for at least 5 minutes after you cut them, before cooking. Health benefits: Vitamins A, C and K.
Tip: Okra is normally prepared by cutting away the crown and tip and cutting the rest of the pod into circular bite-size pieces. What to look for: Look for clean, smooth potatoes that are firm to the touch with no cuts, bruises or discolorations. Health benefits: Fiber, potassium, magnesium, phosphorous, Vitamin C and cancer prevention. Tip: Enjoy rutabagas in soups, baked (rutabaga fries!) or mashed with sweet potatoes. What to look for: Buy snow peas that are bright green, fresh looking and crisp. Tip: Double up on the snow peas next time you make a stir fry. Eat them hot for dinner one night, refrigerate overnight, and recycle them into a salad for lunch the following day. They’ll have a completely different feel and you’ll get a two-fer; cooked once, eaten twice in two different ways! Health benefits: B vitamins, vitamins C and E, omega 3 fatty acids, beta carotene, glutathione, and an endless list of additional minerals and phytonutrients. Fights heart disease, macular degeneration, cancer, and cataracts! What to look for: Dark green leaves that are not bruised, wilted, or slimy. The smaller the leaf, the tastier the spinach. Tip: Get more leafy greens into you by adding a couple handfuls of organic spinach to your morning smoothie. What to look for: Choose organic red berries with no signs of bruising or mold. Tip: Freeze strawberries to have on hand for smoothies. How to choose: Choose deeply colored tomatoes that are firm and free of wrinkles. Tomatoes should smell sweet. Health benefits: Fiber, calcium, potassium, digestive aid, anti-inflammatory, manganese, antioxidants, and vitamins A, C, and E.
Health benefits: Vitamin C and chromium. Navigating the grocery store in this day and age feels like tiptoeing around a minefield. With everything we’re hearing about GMOs, hormones and chemicals in our foods, it makes you wonder if it’s safe to eat anything anymore. In a perfect world, we would all be able to buy everything fair trade, organic and grass-fed, but in reality, even if you live in a place where the best of the best is available to you, it’s simply not feasible for the average person to be able to afford the “perfect” diet. 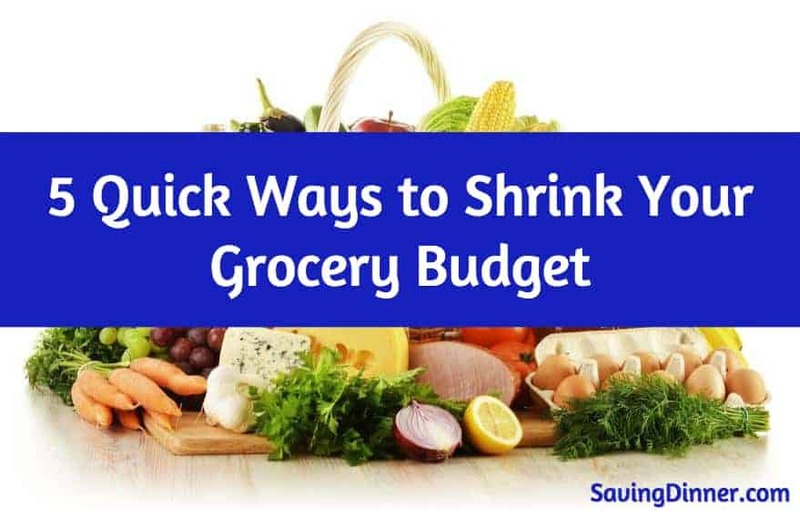 Luckily, there is a trick to prioritizing your grocery dollars so that you can stretch your budget to cover the items that are worth spending more on, while saving on some other areas. The first thing you need to do here is to change your mindset. When you stop buying the chemical-laden processed foods, you’re saving money on all those boxes of nutritionally inferior items. When you spend the money on organic items, you’re less likely to waste food, so you won’t be throwing as much in the trash. It might feel like you’re spending more on a whole food diet, but that’s not necessarily the case. Organic meat and dairy. If your grocery budget is very tight, invest in organic dairy and meat over organic produce and grains. Conventionally raised animal products have been shown to contain the highest concentrations of pesticides and hormones. With your milk, cheese and dairy, try to buy full fat organic because full fat is better for you. With meat and poultry, look for organic first, and grass-fed and pasture raised second. Shop based on the Dirty Dozen and the Clean Fifteen. Some foods tend to be heavily contaminated with pesticides. These foods are logged each year by the Environmental Working Group’s Dirty Dozen list. This list serves as a great way to determine which foods are most important to buy organic. The Clean Fifteen list shows us which foods are relatively low in pesticide residue. 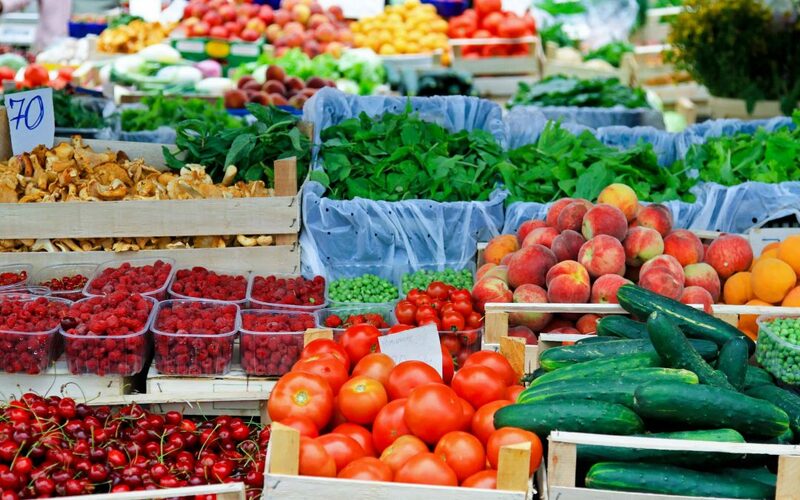 Shop according to those lists and you’ll save lots of money on organic produce. For instance, rather than forking over the cash for expensive organic potatoes, go for the conventionally grown sweet potatoes which are on the Clean list! Hit the farmers’ market first. Organic is great, but local, in-season organic is the absolute best you can do. Get whatever items you can from the farmer’s market and then get the rest at the grocery store later. Shop from the freezer. Some stores carry bulk organic produce in the freezer section. See how economically you can buy your organic veggies and if it works out better for your budget, go ahead and stock up with frozen. Frozen organic will be better for you than pesticide-ridden fresh! Transition gradually. It’s not necessary to go nuts replacing all of your condiments and spices with organic varieties all at once. As an item like cinnamon or peppercorns runs out, replace it with an organic version. For condiments, consider making your own from organic ingredients, especially if your children eat copious amounts of it. Ketchup, for instance, is generally chock full of high fructose corn syrup, chemicals and lots of additives. If your children eat everything dipped in ketchup, I would start making it from scratch or at least buy an organic variety. Oh, and one more note! When it comes to honey, purchase local, not necessarily organic. It’s very difficult to control where bees pollinate, so organic honey isn’t entirely possible. Buy local, though, and you’ll be good to go. 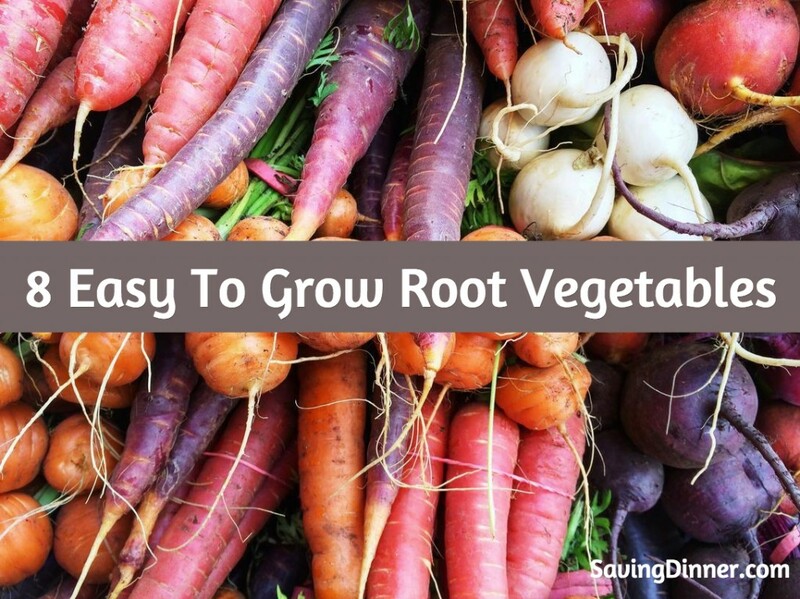 I thought I’d put together a little primer for you to get all you can from root vegetables including how easy they are to grow and how to prepare them! 1. Carrots. 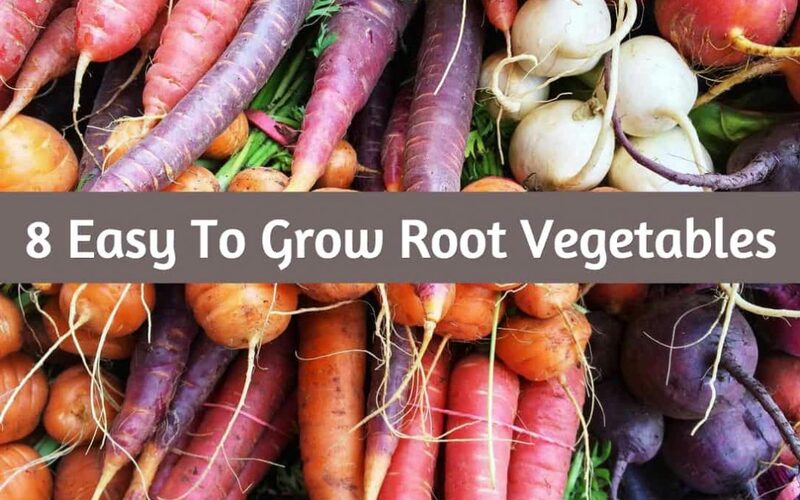 Perhaps the first food that comes to mind when you think of root vegetables, carrots are simple to grow (you just pop the seed in the soil, water and wait, really! ), and they’re ready to eat as soon as they come out of the ground. It’s always such a treat to go out to the garden and pull out a carrot, wiping it on the grass and biting into it. Carrots are a staple in my house. I use them every time I make bone broth and soups and put them in salads whenever I can. If you’re cooking them as side dish, try not to overcook them or they turn to mush. If you haven’t tried roasting carrots before, I highly recommend this method, sweet and delicious! Carrots are extremely high in carotenoids and beta-carotene, offering a number of health benefits. 2. Beets. One of my favorite roots, beetroot is grown easily like carrots , and I especially love that I can eat the root and the leaves of the plant. You can eat beets raw in your green juices or even shaved into a salad. But most commonly, beets are steamed, roasted or boiled. I enjoy cooking sliced beets in butter and lemon juice with salt and pepper. 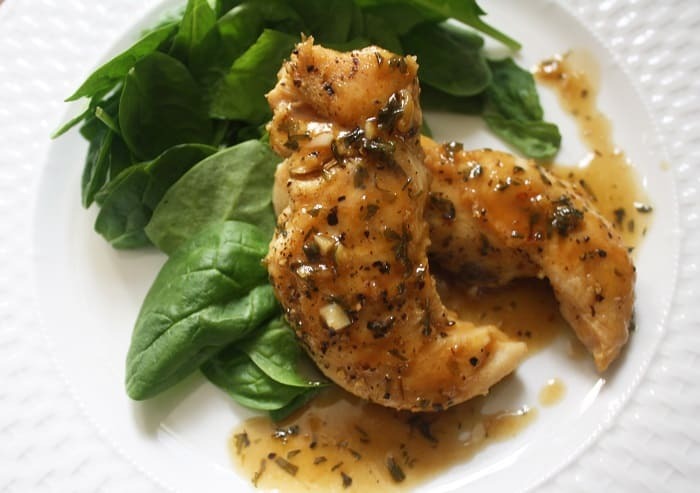 Absolutely delicious, especially if you add the beet greens in at the end of the cooking time! Beets, with their deep purple color, are full of nutrients. They contain powerful compounds that protect against certain birth defects, cancers and heart disease. 3. Parsnips. Another easy-to-plant vegetable to consider for your garden, the creamy white parsnip is delicious. Their taste is really nothing like carrots—they’re slightly sweeter and they are quite mild in flavor. Parsnips are most commonly cooked as carrots are, but I adore them drizzled with oil and roasted in the form of parsnip fries. They are also delicious when cooked with carrots, beets and other root vegetables. Yum! Parsnips are a great source of vitamins and minerals, particularly copper and Vitamin A. 4. Parsley root. There is a special variety of parsley that is grown for its large parsnip-like root rather than just for its leaves (though you can eat the leaves if you like). Parsley root is most often used as an aromatic because it tastes a bit like carrot, celeriac (celery root) and parsley all mixed together. It’s difficult to describe. Like most root vegetables, it’s easy to grow parsley root, so why not give it a go? Parsley root is quite good used raw in coleslaw or roasted with a mixture of other roots. Parsley root is an excellent source of folic acid, flavonoids and antioxidants. 5. Rutabaga. I am referring to the tan-colored root with the purple ring around the top. (Turnips are white and are much smaller.) It isn’t hard to grow rutabagas, but their roots will ripen best when the weather is cool. They have to be planted so that they have time to mature when it’s nice and cool—factor in that they will need up to 100 days from the time they’re planted to the time they’re harvested to help you figure that out. I love eating crunchy raw rutabaga strips, but I also enjoy them in fall soups or mashed with sweet potatoes. Rutabagas are sulfur veggies with cancer-fighting properties. 6. Turnip. If you plant your turnips late in August, you will still be able to enjoy your harvest as turnips don’t mind the cooler temps. You can eat turnips raw or cooked. As a matter of fact, you can treat cook it exactly the same as you would rutabagas. One thing important to know about turnips is that they start to lose their sweetness the longer you cook them! And don’t forget to add those turnip greens to your salads for a little boost of nutrition, too! Turnips are very high in Vitamin C, so eat up! 7. Celeriac (Celery root). Celeriac, commonly referred to as celery root, is one of the ugliest vegetables I can think of, but it’s been a great friend in the kitchen because it makes a great stand in for white potatoes. I would not recommend celery root for a new gardener. This plant needs a long growing season (plan for 120 days after a two- week germination period), and its seedlings can be finicky. By the way, celery root is not actually the root of the celery plant, but it is a relative. It also doesn’t really taste like celery, but it has a nice mild earthy flavor. After you peel your celery root, you can grate it into a salad or cook it up like you would a potato. This veggie is full of fiber, antioxidants and minerals. 8. Sweet potato. I’m not going to lie to you. Sweet potatoes are not difficult to grow, especially in the south, but man oh man they can be a pain in the you know what. Sweet potatoes can totally take over your garden with their invasive creeping vines, and they must be harvested regularly and really managed well. Sweet potatoes do contain a ton of antioxidants and minerals and definitely belong on your grocery list if you’re not going to grow them yourself. One of my favorite ways to cook them is to put them in the slow cooker on low first thing in the morning. Then I can have perfectly cooked sweet potatoes at dinner time! In a medium bowl, mix the first 4 ingredients (beef through chili powder). Form beef mixture into patties. Heat grill to medium-high heat and place burgers on the grill. Cook for 10 minutes on each side, until burgers reach desired level of doneness. In a large skillet, over medium heat, heat coconut oil. To the skillet, add the onion, lemon zest, lemon juice, honey and beets. 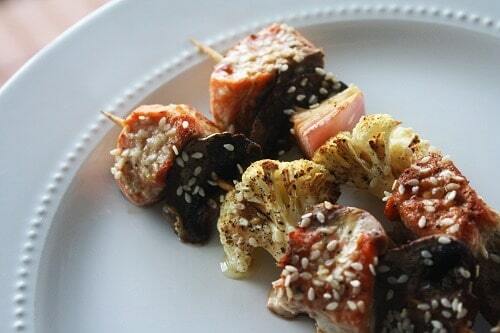 Season with sea salt and freshly ground black pepper to taste and cook for 5 minutes, until vegetables are tender. 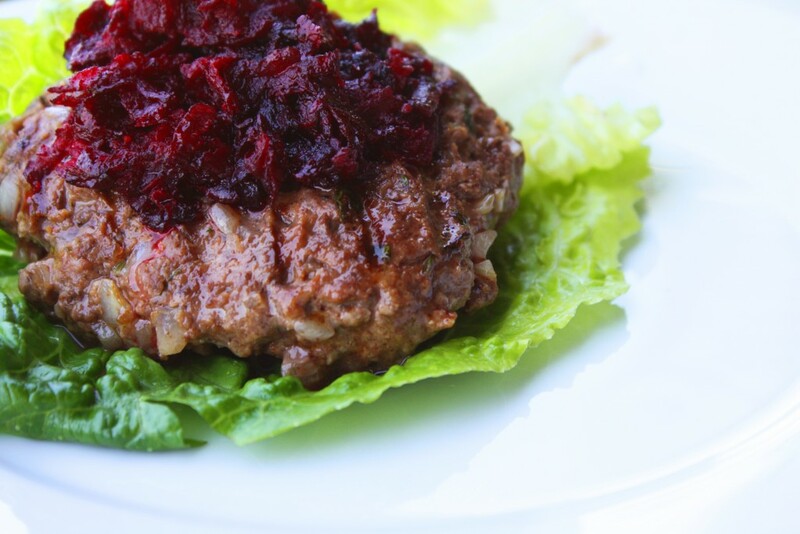 Place burgers on lettuce leaves and top with sautéed onion and beets. Serve warm. I am willing to bet there are some plants in your yard that you didn’t even know you could eat. Now, I’m not suggesting for a minute that all of these food items are delicious (because some of them aren’t) but your kids will surely enjoy making a meal out of weeds! Just be careful to explain to young children that they aren’t to touch random plants without supervision! If you manage to find any of these plants around your home, please share a photo with me on our Facebook page to show us how you’re using these wild edibles! Stinging nettle. Stinging nettle is not something you want to run into on the hiking trail, but believe it or not, this wild plant that grows in abundance all over the place is actually edible. Nettle has been eaten all over the world for centuries. Cooking stinging nettle for 30 seconds or so is enough to neutralize the chemicals in this wild vegetable that causes it to sting your skin, so your tongue won’t get all swollen and sore when you eat it! Try making a stinging nettle pesto, or adding it to a quiche! Pumpkin leaves. 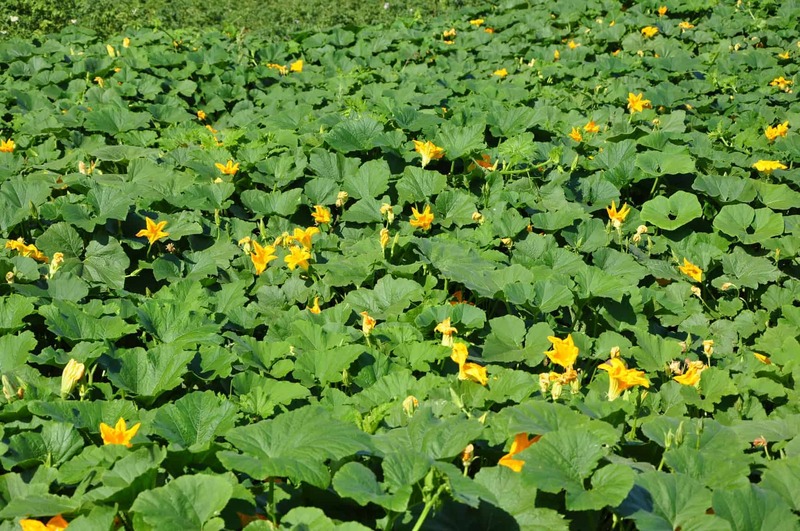 If you have pumpkins growing in your garden, don’t leave the leaves behind when you pick them! Pumpkin leaves are not only edible, but they’re rich in iron, protein and vitamins A and C. You could use them in a soup, salad or a stirfry, but they also make awesome grain-free wraps! Zucchini blossoms. I hope you aren’t discarding the blossoms of the zucchini plants growing in your garden! Squash blossoms are great fun to cook with (try stuffing them with a mixture of sauteed zucchini, bacon and mushrooms) and they are also quite beautiful on the plate. 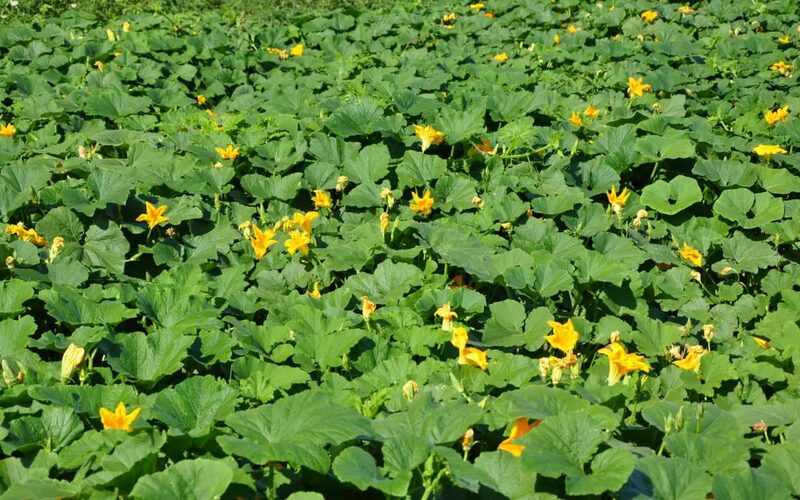 You’ll want to harvest the “false” blossoms that won’t turn into zucchinis. (Those false blossoms that don’t produce fruit are the male flowers, by the way!) Choose the freshest looking blossoms you can find and enjoy! Dandelion leaves. If you have an organic lawn, go ahead and pick those dandelion greens and eat them up! They will fit right in with the other greens the next time you make a salad. Treat dandelion leaves just like you would treat spinach or beet greens. But if there’s any doubt they’ve been sprayed with pesticides, don’t eat them. Cattail. So you might not have cattails growing in your yard, unless you live in a marshy area. But how much fun will it be to gather cattails and bring them home to turn into something delicious? It’s the root of the cattail you can eat, so you need to pull the plant from from the water and cut away the woody stalks, reserving the roots. Clean the roots and scrape them into a bowl of water. After the the cattail root sits in water for several hours, the starch will settle to the bottom of the bowl. Separate that starch from the water and allow the starch to dry out. You’ll be left with a freshly foraged replacement for flour! Clover. The clover plant is completely edible, but it is not completely delicious! The pink blossoms of the clover plant can be made into a tea, or roasted until crispy and used for whatever your imagination comes up with! As I mentioned, the leaves are edible, but I wouldn’t recommend eating them unless you were starving. Warning: clover is an common allergen so don’t eat too much unless you know if your body can handle it. You should also know that in some warm climates, clover may produce small amounts of cyanide. Garlic scapes. If you’re growing garlic in your garden, hang onto the scapes, the green stalk that grows from the top of the garlic plant. Garlic scapes are wonderful in soup stock and snipped into salads. Garlic scapes are delicious and beautiful! There you have it! Will you be going out to try and find any of these wild edibles? PS: My new book, Part-Time Paleo: How to Go Paleo Without Going Crazy is nearly here!! If you get it now (and now is the time!) I’ll send you some crazy bonuses that your’e going to love!